Des fruits. Des fruits. Des fruits. Oui, moi, je vends des fruits de toutes les couleurs et toutes les saveurs… This high-energy French children’s song “LA MARCHANDE DE FRUITS” teaches kids the French words for fruit. The song teaches the French word for bananas, oranges, apples, grapes, cherries, strawberries, kiwis, raspberries, peaches, pears, lemons, melon & more! 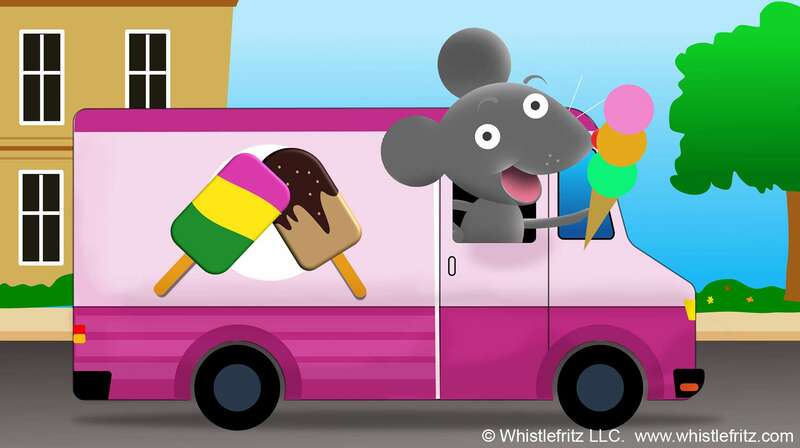 The song is from the Whistlefritz CD, CHA, CHA, CHA. The video clip is from Whistlefritz’s language immersion video DEDANS ET DEHORS. Song “LA MARCHANDE DE FRUITS” from the Whistlefritz CD CHA, CHA, CHA. Je vends des oranges, des pommes, et du raisin. Je vends des pêches, des citrons, et des poires. Des fruits. Des fruits. Des fruits. Oui, moi, je vends des fruits de toutes les couleurs et toutes les saveurs… This high-energy French children’s song “LA MARCHANDE DE FRUITS” teaches kids the French words for fruit. The song teaches the French word for bananas, oranges, apples, grapes, cherries, strawberries, kiwis, raspberries, peaches, pears, lemons, melon, and more! The song is from the Whistlefritz CD, CHA, CHA, CHA. 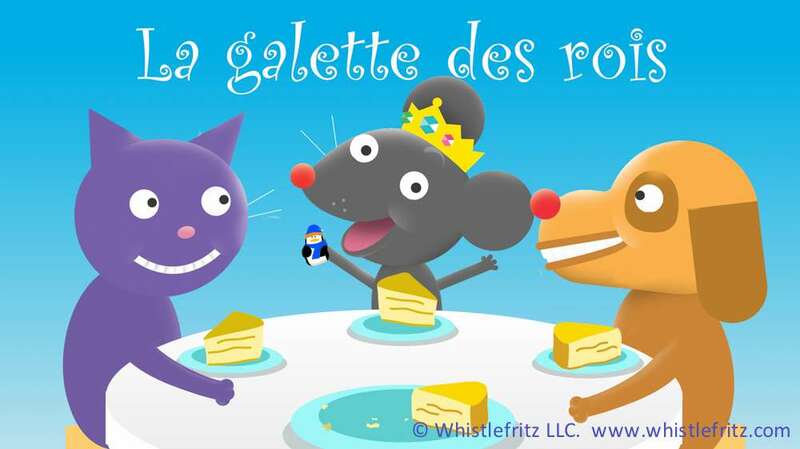 The video clip is from Whistlefritz’s language immersion video DEDANS ET DEHORS. Song “LE CAMION DE GLACE” from the Whistlefritz CD ALLONS DANSER! c’est le camion de glace. Venez les enfants, il est arrivé ! On entend de loin le carillon. Pour pouvoir acheter un cône glacé. Pour pouvoir acheter un bon sorbet. Pour pouvoir acheter un gros cornet. Pour y ajouter trois boules glacées. Thanksgiving has arrived! The family is all together. What has everyone brought to share? 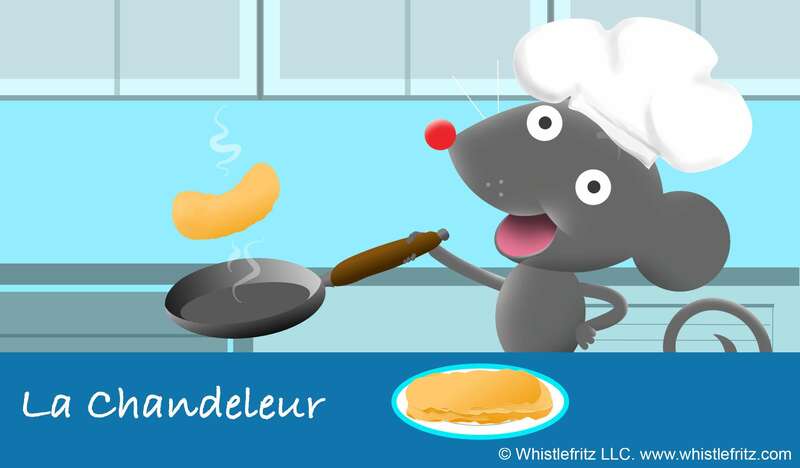 This catchy French children’s song teaches French vocabulary for different kinds of food and members of the family. The song, composed by Didier Prossaird, is from the Whistlefritz CD CARNAVAL. 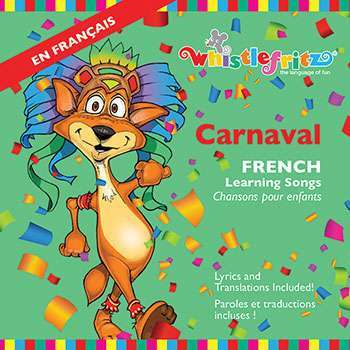 Song “LE JOUR DE L’ACTION DE GRÂCE” from the Whistlefritz CD CARNAVAL. Qu’est-ce que tu aimes bien manger? Moi, j’aime manger . . . 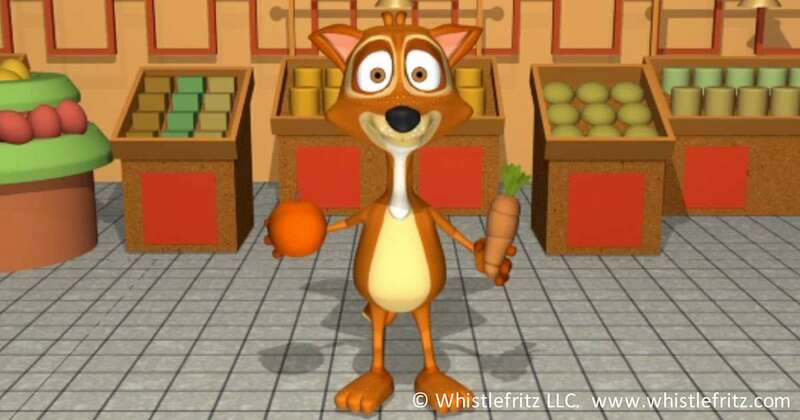 This fun video clip from Whistlefritz’s video DEDANS ET DEHORS teaches children how to say “I like to eat” in French as well as the French words for the different types of foods they like to eat — apples, broccoli, bananas, corn, chicken, peaches, bread, and more! The song “MANAGER” provides a lively soundtrack as kids sample all of their favorite healthy foods with friends on the playground. Song “MANGER” by Jorge Anaya. 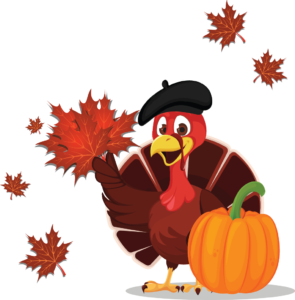 Celebrate Thanksgiving with this French children’s song that teaches Thanksgiving-themed French vocabulary for foods and members of the family. The song “THANKSGIVING” is from Whistlefritz’s CD CARNAVAL. Song “THANKSGIVING” from the Whistlefritz CD CARNAVAL. We know that it’s going to be good.